It’s no secret I have a love affair with Earthbound/Mother series inspired games, and Japanese cult classic Yume Nikki isn’t an exception. I haven’t actually finished the original game, but I’ve delved into plenty of videos, lore, and fan theories over the years. Enough to have formed opinions of the game and its potential meanings. Some of the topics Yume Nikki addresses really speak to me. Sadly, time constraints and a job working in games means my free time often gets eaten up by, well, new games. 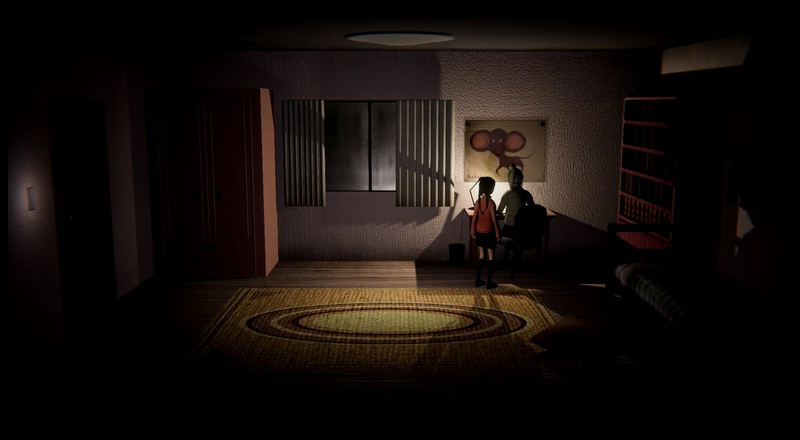 Naturally, when I was offered the opportunity to check out Kadokawa’s re-imagined version, Yume Nikki: Dream Diary during GDC, I jumped at the chance. I spoke to Publishing Manager Shunji Mizutani and Art Director Juan Fandino (with James Mountain providing translation services) about fan reactions, reinterpretations, and working with the enigmatic creator of the original game, Kikiyama. Here’s what I learned. The team knew going into this project that the task would be hard. The original game had little to no text, was very abstract, and widely open to different interpretations. As such, everyone had their own idea of the game’s story in their head. There was no “right” way to experience it. Not only did the devs have to re-create a game with a cultishly devoted fanbase, but also one dealing with extremely difficult topics. While these themes can be depressing, they did allow the devs to put a bit of themselves into the game. This freedom didn’t just come from the very nature of the creation process. The team was actually given free reign to re-imagine the game as they saw fit. The original developer, Kikiyama, didn’t bind anyone to anything. It’s not that Kikiyama was uninterested in development. They worked closely with the team during the process. Instead, Kikiyama gave little feedback and gave Kadokawa and publisher Playism a free hand, which added to Mizutani and Fandino’s pressure to not mess up. In fact, Kikiyama not only had no special requests, but said they hadn’t even considered the main character’s gender, leaving everything up to the dev team to work out as they pleased. Naturally, the game is far from perfect. For example, the Uboa scene that made the game famous in the West is, frankly, almost unrecognizable and far easier to trigger in Dream Diary. I never got that far in the original Yume Nikki, but I recognized the scene when I approached it. The set up is still there, but what follows is much, much different. Fandino noted that it was difficult to have the same impact as the original, especially with the jump to 3D. And that’s OK. Within the context of what I played, Yume Nikki: Dream Diary had weight of its own. It’s a different scene than the original. Race is more obviously defined, as is your gender. It’s less open than the original, but that helps ground the narrative more. There’s still discomfort, an unwillingness to share, playing with light and shifting images. When the event triggers, there’s a sense of tension, of an unknown anxiety. For some, it’s a jump scare moment, but the devs didn’t give me that vibe. We talked about the abstract, about personalizing the story and coming at it from a different angle and expressing something pressing, but not entirely conscious. If you as a player got jump scared, that’s fine. If you got something else, that’s fine too. That being said, Fandino noted that the team can still add content. While they didn’t plan to go back and change the Uboa scene, they were open to adding more content to the game later. Maybe the majority of the players missed something. Maybe the team wants to add in some more abilities that were cut from the original. We didn’t touch on specifics, just that the team, especially Mizutani, came to realize Kikiyama’s genius and their own desire to make something that would shine light on the original. This is partially why the game is more linear. The original game wasn’t just a product of its time, but also a product of its platform (RPG Maker) and some of its influences (JRPGs like Earthbound/Mother 2). If you watch how younger games or non-gamers play, it becomes obvious that JRPGs (like a lot of non-casual gaming) require you to understand certain tropes to appreciate them. Quests make completing games easier, but take out feelings of exploration. Exploration is fun for some people, but utterly confusing for others. There’s a give and take in Dream Diary, and while the game may not be as open as the original, it’s not exactly linear, just closer aligned to that side of the scale. At the very end, Mizutani said their goal was to make a version of the game that not only veterans of the original would want to try, but that could bring the experience of the original to a whole new audience.